Mustafa Ali and Samoa Joe will enter this year's Elimination Chamber. But which WWE superstars have never been inside the barbaric structure? Elimination Chamber is around the corner and over the past years, we have seen some of the most extreme matches inside this steel structure. Shawn Michaels, Triple H, and John Cena and Edge are some of the superstars that have made the Elimination Chamber matches memorable. 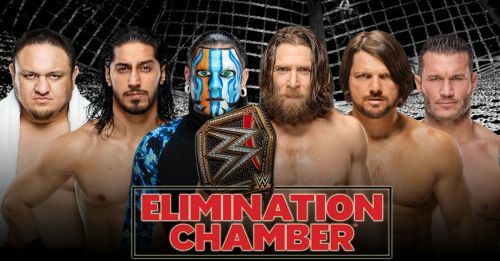 This year, Mustafa Ali and Samoa Joe will enter the demonic structure for the first time, while Randy Orton, AJ Styles, Daniel Bryan, and Jeff Hardy have already competed inside the Elimination Chamber, and will look to capture the WWE Championship this time around. Some of the most prominent superstars of the Ruthless Aggression Era, The PG Era, and the current main roster have competed inside the Elimination Chamber. Right from the first Chamber match, most of the superstars that have competed in it are popular among the fans and the wrestling industry. It's surprising to know that even the likes of Santino Marella, The Great Khali, The Ascension, The Prime Time Players (Darren Young and Titus O'Neil) and also the forgotten team of Los Matadores have battled inside the unforgiving structure. Here is a list of 6 popular WWE superstars that have never got the opportunity to compete inside an Elimination Chamber. 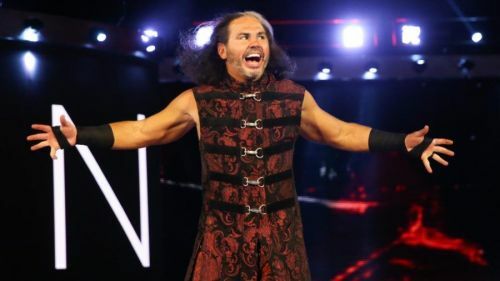 Matt Hardy joined WWE, then known as WWF, in 1994 and has been a pioneer in the Tag-Team Wrestling genre for over two decades. He and his brother Jeff had revolutionized the tag-team division in the early 2000s and laid the foundation for an extreme form of tag-team wrestling, something which was new to the WWE audiences back then. The former ECW Champion has had a lengthy tenure in WWE, serving almost two decades in the company. He had departed WWE multiple times, once in 2005 and again in 2010, but during all his tenures there were more than a handful number of Elimination Chamber matches, of which he could never be a part of. While he was never seen as a main event player, his brother Jeff had been part of two Elimination Chamber matches, once to determine the number one contender for the WWE Championship in 2008, and again in 2009 for the WWE Championship. As a performer who's been known for his extreme style of wrestling in his early years, he has been eluded an opportunity to be a part of one of the most extreme structures in wrestling.